Essential Nutrients: What Are They & How Much Do You Need? Essential Nutrients: How Much Do You Really Need? What’s essential to a healthy diet? While you might consider chocolate or avocado an essential “nutrient,” the word “essential” has a particular meaning when it comes to nutrition, one that’s not quite as subjective. “Essential” means that you need it, but your body can’t make it. “Essential nutrients cannot be synthesized by the body so they need to be consumed through food or dietary supplements,” says Krista Maguire, R.D., C.S.S.D., and nutrition manager at Beachbody. So what are the essential nutrients? And how much do you really need? How Much of Each Essential Nutrient Do We Need? 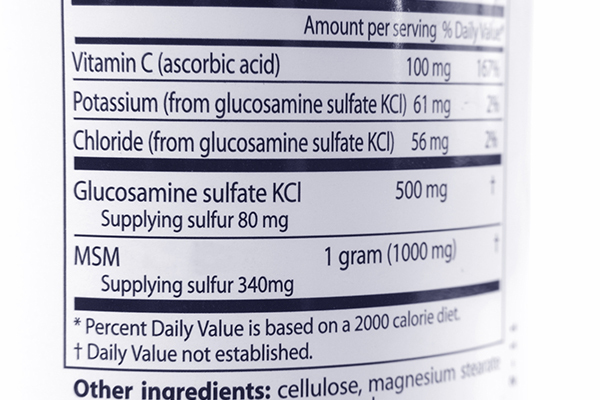 Ever take a close look at the Nutrition Facts or Supplements Facts label? If so, you might see one or more acronyms listed alongside a number. What is the difference among those measurements? And, when it comes to essential nutrients, which numbers matter most? These various acronyms are all types of Dietary Reference Intakes (DRIs). Recommended Dietary Allowance (RDA): Average daily dietary intake level sufficient to meet the nutrient requirement of 97 to 98 percent of healthy individuals in certain groups. Adequate Intake (AI): Based on “observed or experimentally determined approximations of nutrient intake” by groups of healthy people. This is used when an RDA cannot be determined. Tolerable Upper Intake Level (UL): This is the highest amount you can take in safely in a day that is likely to pose no risk of adverse health effects (to most individuals in a certain population group). Estimated Average Requirement (EAR): This value is estimated to meet the nutrient requirement of half of the healthy individuals in a group. For essential nutrients, we will focus on RDAs (and AIs when the former isn’t available). Let’s take a deeper look. Essential amino acids might be the most familiar group, as amino acids are often described as the building blocks of protein. “The term ‘essential nutrients’ isn’t used as often, but we often hear of ‘essential amino acids,'” says Maguire. Protein-rich foods provide amino acids and, while your body can produce some of the 20 different amino acids it needs, nine of them are essential because (you guessed it) you can’t make them. (To review, those nine are: histidine, isoleucine, leucine, lysine, methionine, phenylalanine, threonine, tryptophan, and valine.) Your body needs these amino acids to form enzymes, which are proteins that help us break down and digest food, repair body tissues (such as after a hard workout), and grow and develop normally, among other bodily functions. Rather than focusing on individual amino acids, your emphasis should be on eating a diverse healthy diet. “We don’t need to pay too close attention to individual amino acids,” says Maguire. Instead, she recommends focusing on the variety and quality of your protein sources. For example, most plant proteins are not considered to be “complete,” because “they are usually lacking in one or more of the essential amino acids,” Maguire says. She cites that legumes, lentils, and beans are low in methionine and higher in lysine, while grains, nuts, and seeds are low in lysine and high in methionine and threonine. Confused? Don’t sweat it. 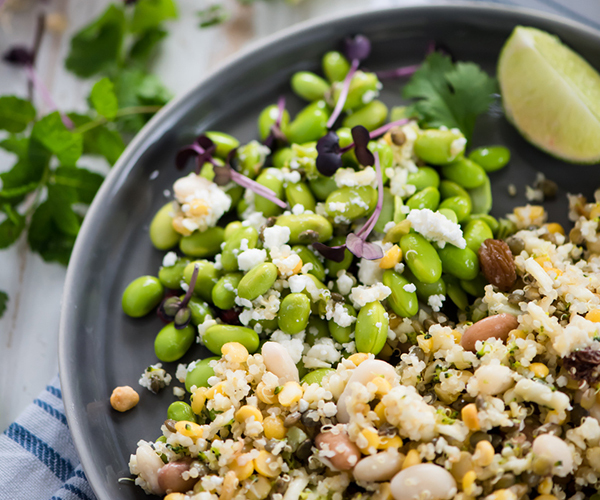 “Dishes usually combine the two naturally so that it makes a ‘complete’ protein without thinking about it — think beans and rice!” she adds. Maguire says that animal-based proteins usually have a more favorable protein digestibility corrected amino acid score. “This measure is based on protein absorption and utilization as well as amino acid content,” she explains. The Dietary Reference Intakes for protein are 56 grams for men ages 19–70 and 46 grams for women ages 19–70. Beachbody plans recommend that 30 percent of your daily calories come from protein. The recommendations differ because that first amount is the RDA, or the minimum amount you need to stay healthy — and that RDA doesn’t take into account your health and fitness goals. Fat plays crucial roles in maintaining our health. Fat is used in the body for cell insulation and structure, nerve transmission, hormone production, and absorbing certain vitamins. Fats help keep our skin and hair healthy, too. The essential fatty acids are the omega-6 fatty acid linoleic acid and the omega-3 fatty acid alpha-linolenic acid, both types of polyunsaturated fats. Omega-6 fatty acids are common in the standard American diet, so most people get enough of this essential fat. Omega-6 fatty acids are found in common cooking oils like sunflower, safflower, soy, canola, and corn oils, among others. Omega-3 fatty acids are not as common, and these are a type of fat that has received quite a bit of attention in recent years. 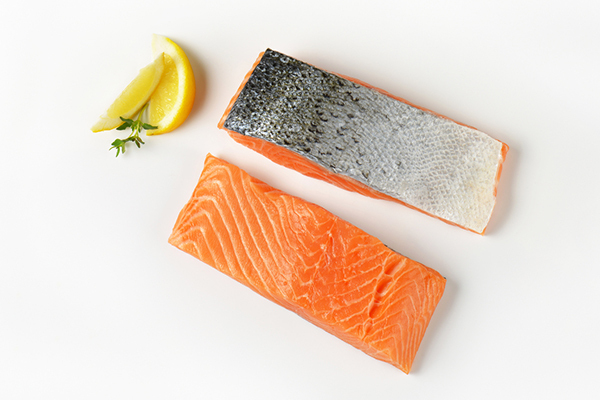 Studies show that omega-3s may support heart health, and they’re found in foods like fatty fish (like salmon), some vegetable oils, nuts, flax seed, and even leafy greens (in smaller amounts). There are three types of omega-3s: eicosapentaenoic acid (EPA), docosahexaenoic acid (DHA), and alpha-linolenic acid (ALA). However, only ALA is considered essential. EPA and DHA are the ones that come primarily from fish; ALA, which is the most common omega-3 in our diet, comes mostly from plant foods. While there are no established RDAs for omega-3 or omega-6 fatty acids, there are established Adequate Intakes for both: From ages 19–50, men need 17 grams of linoleic acid. After age 50, they need 14 grams. Women need 12 grams from ages 19–50 and 11 grams after that. With alpha-linolenic acid, women need 1.1 grams from 19–70 and older; men need 1.6 grams. What Are Essential Vitamins and Minerals? Vitamins and minerals are considered micronutrients (not to be confused with the macronutrients fat, carbs, and protein). These vitamins are essential and must be consumed through food. Some minerals are found in the body as well as food, but no single food is perfect, providing all the vitamins and minerals we need, so that’s why it’s important to eat a diverse, healthy diet. What Are the Essential Vitamins? Vitamins are subdivided into two categories, water-soluble (this group includes the B vitamins and vitamin C) and fat-soluble (vitamins A, D, E, and K). Here, we’re breaking down their function, primary food sources, and the RDA or AI for each. What does vitamin A do? Vitamin A plays many roles, including: bone and tooth growth; support for the immune system; and growing and maintaining healthy skin, hair, and mucous membranes. Vitamin A is found in: Yellow and orange fruits and veggies, leafy greens, and fortified dairy. What does vitamin D do? Among the functions vitamin D plays are: bone and teeth growth, and helping support cardiovascular health and the nervous system. Vitamin D is found in: Fortified milk, orange juice, cereal, fish, and sunlight. What does vitamin E do? Supports the circulatory system, cell communication, and immune system, among other functions. Vitamin E is found in: Fortified cereals, nuts, leafy greens, and vegetable oils. What does vitamin K do? Vitamin K supports the circulatory system and promotes healthy bones. Vitamin K is found in: Leafy greens, fruit, dairy, and grains. 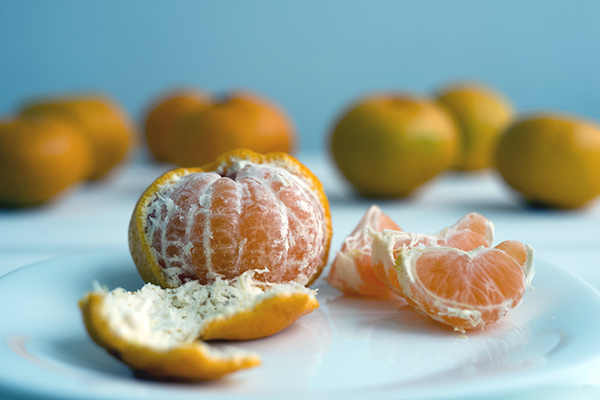 What does vitamin C do? Vitamin C supports the structure of bones, cartilage, blood vessels, and muscle; it also supports the immune system and is necessary for collagen production. Vitamin C is found in: Citrus fruits, berries, and vegetables (particularly peppers). What does vitamin B1 do? Vitamin B1, also known as thiamin, supports the growth and development of cells, as well as cell function; it also helps the body release energy from carbs. Vitamin B1 is found in: Fortified cereals, meat, whole grains, and liver. What does vitamin B2 do? Vitamin B2 helps the body release energy from macronutrients. Vitamin B2 is found in: Whole grains, leafy greens, organ meats, eggs, and milk. What does vitamin B3 do? Vitamin B3 (aka niacin) supports macronutrient metabolism. Vitamin B3 is found in: Meat, poultry, and fish, and fortified cereals, dairy, and eggs. What does pantothenic acid do? Pantothenic acid helps the body release energy from fats and veggies. Pantothenic acid is found in: Meat, whole grains, legumes, fruits, and vegetables. What does biotin do? Biotin is also known as vitamin B7; it aids the metabolism of macronutrients. Biotin (B7) is found in: Cereals and grains; yeast; legumes; and liver. What does vitamin B6 do? Vitamin B6 aids in protein metabolism and is crucial to more than 100 metabolic enzyme reactions. Vitamin B6 is found in: Fish, poultry, meat, bananas, whole grains, and avocados. What does vitamin B12 do? Vitamin B12 (cyanocobalamin) aids in cell development (especially of nerve and blood cells). It supports nervous system function and metabolism of protein and fat. Vitamin B12 is found in: Meats, milk, and seafood. What does folate do? Folate/folic acid/B9 helps with development of genetic material like DNA, and it supports production of red blood cells. Folate is found in: Pulses, leafy greens, and organ meats. What Are the Essential Minerals? Like vitamins, minerals are subdivided. The two groups of minerals are macrominerals or major minerals (calcium, phosphorus, magnesium, sodium, sulfur, chloride, and potassium) and microminerals or trace minerals (like iron, iodine, selenium, and zinc). Macrominerals are essential in amounts of 100 milligrams or higher each day; trace minerals are found in small amounts in the body. We’re sharing more info on the minerals that have established RDAs or AIs. What does calcium do? Calcium promotes strong bones and teeth. It also aids muscle movement and helps with transporting messages from the brain to other body parts. Calcium is found in: Milk, fortified dairy-free milk alternatives, leafy greens, and calcium-set tofu. What does chloride do? Chloride helps maintain balance of bodily fluids and is an important part of digestive fluids. Chloride is found in: Salt, sea vegetables, lettuce, celery, and rye. What does chromium do? Chromium supports glucose metabolism. Chromium is found in: Brewer’s yeast, whole-grain cereals, and clams. What does copper do? Copper supports red blood cell production, bone growth, immune system health, blood vessels, and nerves. Copper is found in: Shellfish, whole grains, beans, nut, potatoes, and organ meats. What does fluoride do? Fluoride supports bone formation and dental health. Fluoride is found in Fluoridated water, tea, and ocean fish. What does iodine do? Iodine supports production of thyroid hormones. Iodine is found in: Seafood and iodized salt. What does iron do? Iron supports hemoglobin production and the immune system. Iron is found in: Seafood, meat, and poultry; fortified cereals; pulses (white beans, kidney beans, and peas); and nuts. What does magnesium do? Magnesium supports bone formation, muscle and nerve function, and the cardiovascular system. Magnesium is found in: Pulses, nuts, whole grains, and leafy greens. What does manganese do? Manganese supports bone formation and macronutrient metabolism. Manganese is found in: Fruits, vegetables, nuts, and whole grains. What does molybdenum do? Molybdenum is a co-factor for certain enzymes. Molybdenum is found in: Legumes, grains, and nuts. What does phosphorus do? Phosphorus aids in bone development and filtering waste from kidneys. Phosphorus is found in: Fish, meat, poultry, eggs, and grains. What does potassium do? Potassium aids in fluid balance; it also helps with controlling activity of the heart, muscles, nervous system, and kidneys. Potassium is found in: Fruits, vegetables, and meat. What does selenium do? Selenium helps with thyroid function, antioxidant support, and DNA production. Selenium is found in: Brazil nuts, seafood, lean meats, and grains. What does sodium do? Sodium helps control fluid levels, and both nerve and muscle function. Sodium is found in: Salt, as well as milk, beets, and celery. What does zinc do? Zinc supports healing and the immune system and protein and DNA production. Zinc is found in: Meat, liver, eggs, seafood, and whole grains. No surprise here: Water is essential. The Adequate Intake is 2.7 liters a day for women ages 19 to 70 and over, while men need 3.7 liters. That’s about 91 ounces for women, and 125 ounces for men, but keep in mind that some water will come from your food, too. How Can I Ensure I’m Getting Enough Essential Nutrients? By now, you may be wondering: “How can I ensure I’m getting enough essential nutrients?” If you really want to know, you can track many of these nutrients using a nutrition app, but there’s no need to be so analytical (and some of the more obscure ones aren’t trackable using consumer-focused apps). “Without having to stress about counting up your vitamins, minerals, and macronutrients or even tracking them on a device, focus on choosing foods from each of the food groups and opt for a variety of colors, flavors (sweet vs. savory), and preparation methods (cooked vs. raw) so that you can ensure your body is receiving a wide array of nutrients,” says Maguire. If you feel there are gaps in your diet, consider keeping a food log and sharing it with a dietitian, who can “evaluate your daily intake and possibly spot nutrients you may be lacking in your diet,” says Maguire. Shakeology or Daily Sunshine can be a good snack choice that provides protein, fats, vitamins, and minerals and can help you meet your daily nutrient needs. Certain nutrients are considered essential because the body can’t make them on its own; we have to consume these fatty acids, amino acids, vitamins, and minerals from food. Eating a balanced, healthy diet helps ensure we’re getting these essential nutrients, and if you’re concerned about your intake of a specific nutrient, track your food intake and talk to your doctor about testing your levels.